Collection of MRV Enrolment Data and Related Services Incidental to and Distribution of MRV) Application Processing In India. 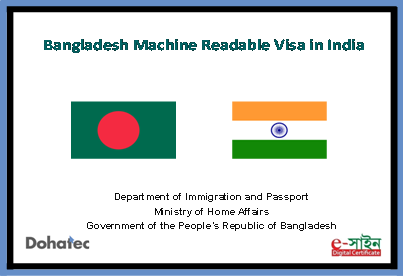 Dohatec New Media and BLS Limited India will provide Visa support services in New Delhi, Mumbai, Agartala and Kolkata in India in assisting the Missions there. It is estimated that at present 200,000 Visa applications are received in India ann. Rapid acceleration of growth of travel to Bangladesh is expected with the development of trade and the tourism infrastructure in Bangladesh. The Contract wsa signed on 17 December 2015 in Dhaka, Bangladesh between Department of Immigration and Passports, Ministry of Home Affairs, Government of the People’s Republic of Bangladesh and Dohatec New Media, Bangladesh and BLS International India. All data entry and gathering of biometric information will be carried out. Most secure handling and transfer of Data will be take place. The delivery of passport documents to applicant will be done in a secure manner. Reports are required on different aspects of the and accordingly these will have be provided regularly. In case of peak seasons adequate resources will be available in order support the Missions to handling it. The Department of Immigration and Passports, Ministry of Home Affairs has been rendering most convenient citizen through outsourcing Machine Readable Passport for more than a year and this is the commencement of such services in the Machine Readable Visa space.